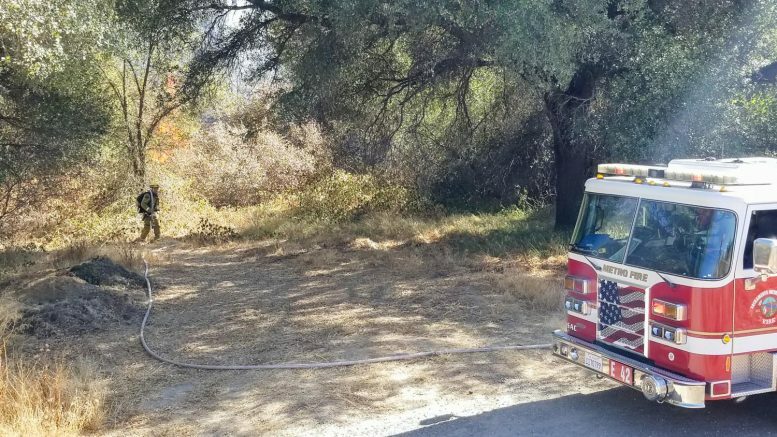 A fire of unknown causes started behind the trail that runs behind the American River College campus on Saturday. 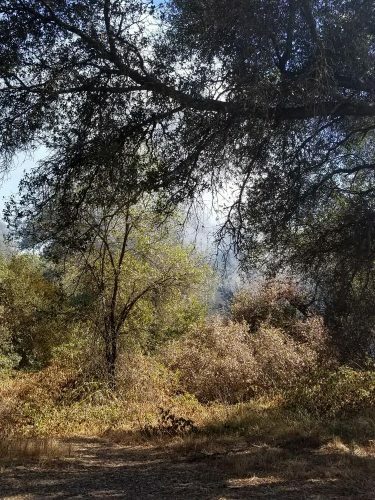 Los Rios Police officers Andrew Simon and Greg Anderson were alerted to the fire after noticing the smoke above the trees. They contacted the Metro Fire Department and the Sacramento County Sheriff’s Department began clearing residents from behind the trail. Firefighters responded to the blaze around 2 p.m. during a home football game. 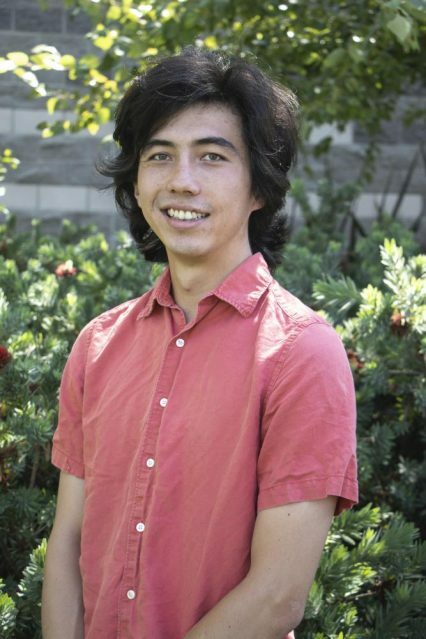 “We’re just trying to keep it contained now,” Anderson said. Chief Tony Peck of Metro Fire estimated the fire to be about 50 feet by 50 feet in size and was put out using two large fire trucks and one smaller fire truck. The fire was contained within the confines of the woods as opposed to being on an open plain, where it would have been able to spread more quickly. “We’ll probably be here for a while soaking the ground, making sure there aren’t any embers that’ll cause flare ups later on,” Peck said. The cause of the fire is unknown but will be updated when found. Smoke rises between trees on the back trail at American River College on Oct. 13, 2018. Be the first to comment on "Breaking News: Fire on trail behind campus extinguished"